With globalized supply chain operations, risk is growing and managing it is more critical than ever. Some risk factors have been greatly discussed in the industry, and others not so much. Below are a few of the risks threatening global supply chains as well as solutions and action items. In a globalized world, it is very important for companies to focus on global phenomena that might impact their supply chain and procurement operations. Technological innovation has allowed many countries to grow at a faster rate than ever before. The IMF has further suggested that the ‘BRIIC countries’, encompassing Brazil, Russia, India, Indonesia, and China, will be among the 10 largest economies by 2020. With new players in the field, we ought to expect new rules and regulations that will ultimately favor some and bypass others - adding to the risk in supply chain and procurement. This is especially true when we work with companies in nations that do not consistently adhere to capitalist principles. It is important for global companies to prepare for any such changes in advance and be flexible enough to adapt to known players leaving the field and new ones taking over. Although scientists, academics, and especially historians like to insist that we are living in the most peaceful times humanity has ever witnessed, we cannot deny that conflict is still part of our nature, lives, and business operations. Over the past decade terrorism has intensified, interstate and state conflict has remained alive, and humanity is yet to give peace a chance. Syria, Libya, Iraq, Somalia, Rwanda, Sudan, Congo, Mali, Yemen, and the Central African Republic, are just a few places that have been stricken by conflict and war. This has impacted the international community in every way possible be it immigration, refugees, business operations, or supply chain. Conflicts throughout the world have impeded business and supply chain operations from pirates in Somalia kidnapping entire cargos to foreign businesses being appropriated by incoming dictatorships. 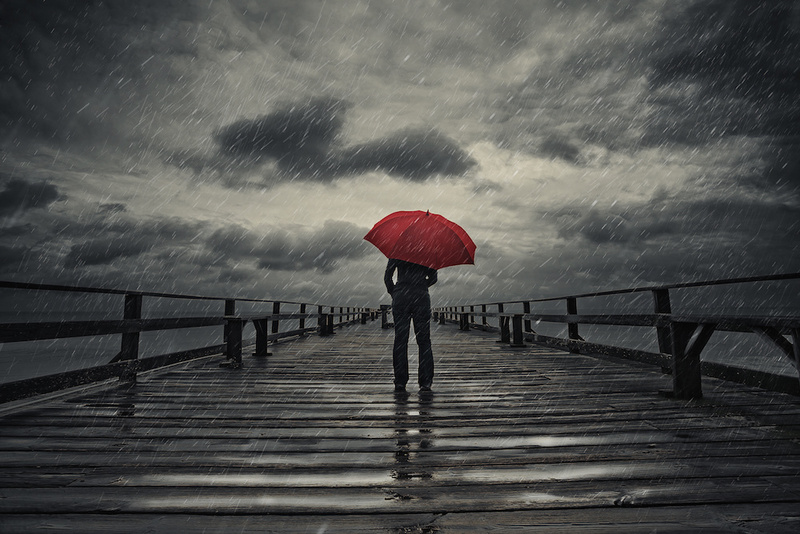 The fact that companies do not have a dedicated team to supply chain risk management during such uncertain times should not be only worrisome but alarming. Globalization has not left the markets untouched either. From the tumult that stock markets have witnessed due to a pallet of issues throughout the world to the rapid changes in commodity prices in the past few years. Commodity and resource prices have influenced supply chain operations in particular. Hanjin’s bankruptcy is an example of the many shipping companies that are undergoing financial constraints due to lower fuel costs and increased competition. Due to globalization, that is not only a problem for the shipping industry, but for every company and customer using their services - potentially affecting hundreds of millions of lives. And yet… operations remain fundamentally unchanged. The rise of smart machines and the evolution of artificial intelligence will have an impact on every business and will touch supply chain most when machines replace human resources. Updating supply chain operations with innovative technology will not take place at the same time in every industry or within every company. Hence, within the next few years we will witness many companies transitioning to new technologies, and perhaps even updated business models, at different rates. Suppliers and customers will encounter new difficulties and barriers to their day to day operations due to these differences in adaptation and thus need to prepare to this emerging risk in advance. Saudi oil company, Aramco, suffered one of the largest cyber-attacks on industrial operations in August 2012. DDOS attackers employed a virus that infected the hard drives of over thirty thousand computers at Aramco – overwriting and destroying data and consequently halting operations and costing millions of dollars. Although this incident took place over four years ago, companies today are still not prepared to face such cyber-attacks to their operations. Cyber insecurity is one of the most prominent risks, not only in supply chain, but in all aspects of business operations and management. Imagine a shipping company’s operations and schedules being hacked – nothing, not even Somali pirates, could impose an equal damage in terms of dollar value. Companies need to be proactive when mitigating such an emerging risk. The ATKearney report mentioned above found that nearly half of the companies they studied did not have a plan in place to ensure supply chain continuity. Only one third had a fully prepared response plan for significant shifts in the balance of supply and demand. Do you have a plan? Every company whose direct or indirect operations depend in any shape or form on another company or supplier or party should not only have a plan in place but also a dedicated executive and team focused on supply chain and procurement risk management. Having a team dedicated to writing a plan for combating risk within the supply chain operation is not enough. A supply chain risk management team cannot be limited to drawing up a plan and then waiting for a crisis – the team has to proactively collect and analyze all information available on each potential risk to their company’s operations. Even with a plan in place, it is important to be cognizant of emerging risks that the plan might be overlooking. Having a supply chain risk management plan in place is not enough when your procurement and supply chain operations depend on someone else, like your suppliers, shipping companies, etc. Being on the same page about risk management with your suppliers and other third parties that might affect your operations is imperative to being risk free. A best in class practice is to formalize your efforts and ensure they are captured in contracts. Globalization has increased the level of business operations throughout the world and within every industry. And yet it is astounding to observe the lack of business preparedness in the face of the current and future risks that globalization might bring to business and supply chain operations. Being ‘over prepared’ in this instance might be the smart move – if only you can make the requisite investment to reach that point. 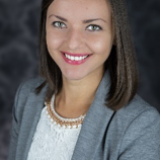 Tatiana Scripnic is a Supply Chain Project Analyst at Source One Management Services. Highly analytical, Scripnic is a depended upon resource of deriving actionable supply management strategies based on qualitative and quantitative data.